We are all prone to mistakes in our life and when we do, there are those who are quick to respond through ridicule instead of helping you back up on your feet and giving you a kind word of encouragement. 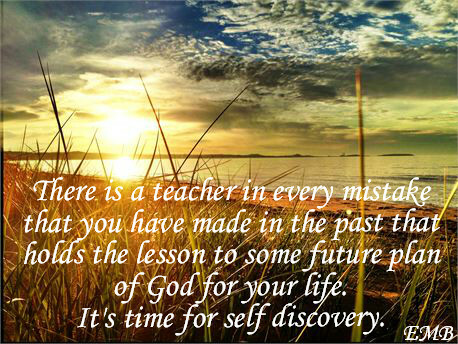 But never be discouraged, nor disheartened because buried within your past mistakes is your treasure - that treasure is your teacher that holds the lesson to some future plan of God for your life. You have just finished reading - Quote On Life Lessons. Please consider leaving a comment and share this word of inspiration and encouragement with your family, friends and those in your social media circles.